Social networking websites could be "romanticising" suicide, an MP claims after the deaths of seven young people from her area in the past year. Last week Natasha Randall, 17, was found hanged at her home near Bridgend and a girl who is believed to know her self-harmed a day later. South Wales Police are investigating if they had made contact on the internet, by e-mail or on a networking site. Bridgend MP Madeleine Moon will raise internet use issues with police. She will air her concerns at a meeting of a focus group, which includes the police and members of the local health trust, schools and council. Mrs Moon said she was growing increasingly worried by the appearance of so-called "memory walls" on networking sites like Bebo, where members leave messages to mark the death of a friend. "The worrying part about internet sites is it is a virtual world - it isn't a real world," she said. "The things that happen there don't necessarily demonstrate the consequences. "I'm particularly concerned about this false romanticism of the memory wall that seems to have set up on Bebo giving some sort of romantic idea of suicide and not conveying the huge tragedy and wasted lives that we are looking at here," she told BBC Radio Wales. Police investigating the latest incidents are trying to discover whether the girls had made contact on the internet, whether by e-mail or on a networking site. But Supt Tim Jones, divisional commander of Bridgend Police, said while some of the seven young people knew each other, there was nothing to link them all. He stressed that no evidence of a suicide pact or bond between them had been found. Last summer, Bridgend and valleys coroner Philip Walters said he was "desperately concerned" about the number of suicides among young men in the area. Mr Walters has now that confirmed the number of suicides among people under 26 across the whole of Bridgend county in the past year was 13. But he said he did not believe there was such a phenomenon as a "cluster" of suicides, and that it was a problem across the country. Anne Parry, from the suicide prevention charity Papyrus, said she shared concerns about the influence of internet chatrooms and networking site. "We've been running a campaign for the last three years to try to draw attention to the dangers of the internet," said Mrs Parry. "Social network sites can be particularly dangerous. Of course they can give a lot of support to young people but they can also do quite the opposite and feed into suicidal feelings." Although some newspapers have likened the series of suicides in Bridgend to a "cult," Mrs Parry said: "I think it is dangerous to use words like this". However, she said the perils of networking sites should be recognised. "It can certainly influence people and perhaps in the wrong way, in an adverse way - there's no doubt about that." 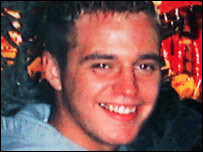 One of those was 20-year-old Thomas Davies from North Cornelly, who hanged himself in February 2007. 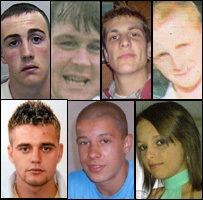 He had been friends with David Dilling, 19, and Dale Crole, 18, who had been found dead weeks earlier. Thomas's mother, Melanie Davies, said she had talked to her son about the deaths of his friends: "He was quite upset about Dai because he went to school with him. "I said to him: 'You would never do that to me, would you?'. "He said 'I'd never do that to you - I wouldn't hurt you mam'. I think it was a couple of days later that he did it." Mrs Davies has urged young people to seek help - rather than take often tragic actions. "For the kids, I think they should talk to somebody, even if it's a stranger. They really need to speak to somebody, even if it's over the phone." 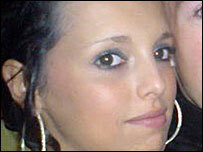 A Bebo spokesperson said: "The loss of any young life is always distressing. "We will work closely with the authorities to provide any assistance which will help them with their investigations. "We have close relationships with our member community, law enforcement agencies, and public safety partners - including Samaritans - to provide support and advice for our users. We are committed to providing our members with the safest possible environment online."